Of course, I may be having my own yard sale soon. 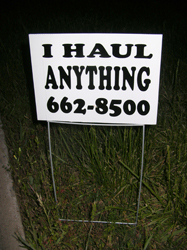 While walking recently, I saw these signs stacked in a driveway in a neighborhood close to mine. 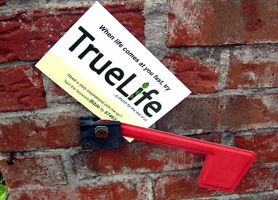 I cringed at the idea that these would be posted throughout the various subdivisions. I’m not sure why these type of signs are becoming more and more prevalent. They are not legal to stick by the road unless the person who posts them owns the property..
I’ve heard that they are cheap to produce. Does anyone who post them ever receive any business? I don’t think that I would call a number I saw on a roadside sign for high speed internet, although I detest Comcast and think that they overcharge for their services. These type of signs are illegal. 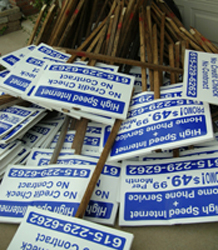 When you see them stuck repeatedly on roadsides, pick ’em up and reuse in a legal manner or recycle the materials. The litterer hasn’t paid to put them there; the signs are forgotten and become trash. “I Haul Anything” people have always aroused my suspicion that they haul it away and dump the trash illegally. If you want to advertise, do it legally. Don’t litter. 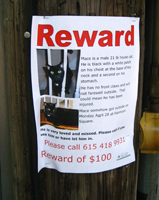 Again, litter heads, the Lost Cat signs are illegal, too. I don’t take them down because I feel sorry for the animal and the person who misses it. I don’t blame this cat for getting free. It was kept behind bars and repeatedly forced fed. A 21-lb. cat is sad. Poor feline needs to miss a few meals at the condo and get some exercise.